Improve the organization and appearance of your rack in seconds, with a tool-less vented blanking panel. 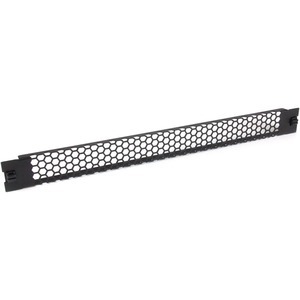 This vented 1U rack panel can mount onto any standard 19-inch 2 or 4-post server rack, to blank out unused rack space. This TAA compliant product adheres to the requirements of the US Federal Trade Agreements Act (TAA), allowing government GSA Schedule purchases.